One of the keys in the learning of a foreign language is obviously the time you spend with this language, in active or passive learning. The more you stay in touch with this language, the easier you learn. And it’s not about spending 24 hours a day in a language school (even if language schools are useful). It is necessary to maximize the input, because it allows to integrate the music of the language, the way it is written, the structures, to reinforce the vocabulary and to learn others words without really realizing it. To avoid boredom, it’s important to vary the sources of input. Reading is a good way to afford input. 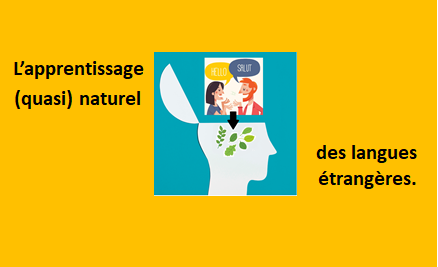 If you are immersed in a book in French, it’s as much immersion time. Read as much as you can in French. You are going to tell me that it is difficult to read a book in a language you don’t master. This is true if you want to read books written for a perfectly French audience. But there are many books written in easy French. When you learn French, you have to find books that match your level. However, that does not mean that you have to read only what you understand. Because if the input is to bring much of the known material so that you can understand the story, it must also propose a small part of unknown words and structures to progress. 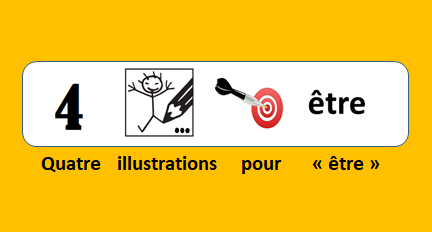 Most books of reading in easy French have 4 levels, which vary slightly by publisher. This ranges from the level of the basic user A1 to the level of the independent user B2. 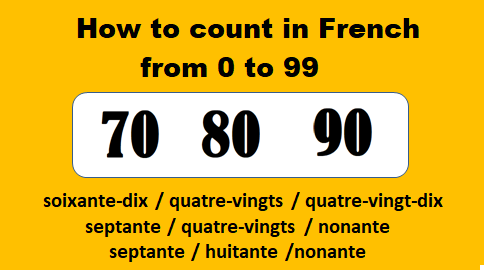 Basically, for level A1, books in easy French have a vocabulary around 500 words. For the level A2, the number of words proposed varies between 600 and 1000 words. For the level B1, it will be about 1000 to 1500 words. And for B2 it will be around 1,500 words or more. Often the book in easy French offers an audio reading of the text. This supplement can be used in different ways. -Conversely, you listen to the audio, then you read the book. This will prepare your reading and also better understand it. -You can also read and listen to the paper and audio text at the same time. This makes possible to associate the words written and their pronunciation. Do not hesitate to pause the audio, to go back. And if your CD or MP3 player allows it, choose a slow play to not miss anything and read the text at a quieter pace. -In public transport, you can read the book. At the wheel of your car or on your bike, you can listen to the text. If, during your reading, you encounter an unknown word, several choices open to you. And all of them are valid. -You ignore the word, and you continue your reading. It is not necessary to know all the words of a text to understand the outline of it. -You are looking for the word in the dictionary. You take a note in your vocabulary notebook in order to revise it later. Instead of ignoring the word or searching in a dictionary, you can find the meaning of a word using 1) context, and 2) your knowledge of the world. The context (the book, the page and its illustrations, the paragraph, the sentence) often makes it possible to get an idea of the meaning of the word. Your knowledge of the world will also help you, if not to find the meaning of a word, at least to minimize the possibilities of meaning. If the character of the book is in a bakery and asks the baker for a baguette and you do not know that word, 1) there is a strong chance in an easy reading book that an illustration represents the word baguette, and 2) your knowledge of the world of a bakery will reduce the innumerable possibilities to only what can be sold in a bakery: bread or pastries. Another way to avoid being stuck in front of an unknown word is to look for similar words, first in your mother tongue and secondly in other languages you know. If an native English speaker encounters an unknown word as véhicule in a French text, he/she have just to open his/her mind to all the linguistic possibilities of his/her own language and to see if the English word vehicle could not pass into the context. And any other non-French speaker who knows English could do the same. The books in easy French are varied. They can be an adaptation of the classics of French literature. Or original stories written specifically for learners, such as detective novels. Do a search on the internet or go look in the library of your city.